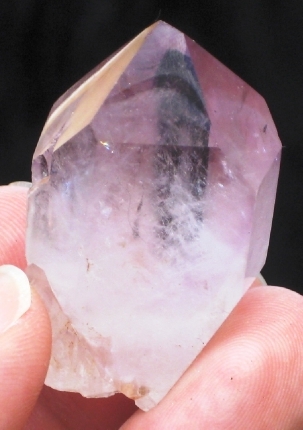 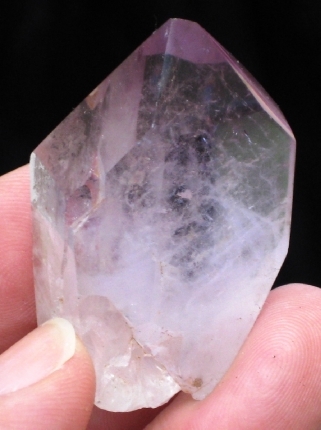 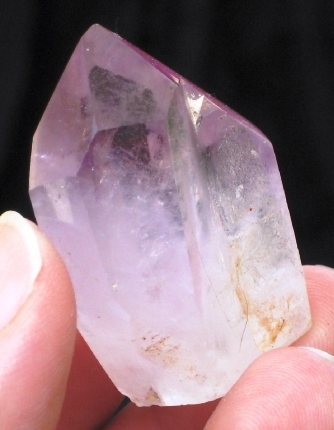 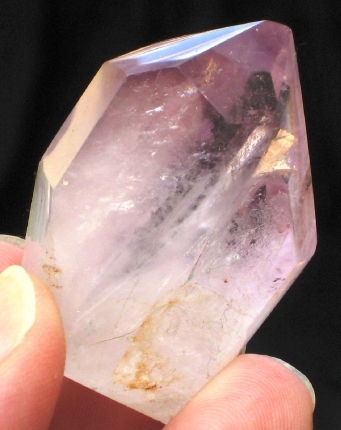 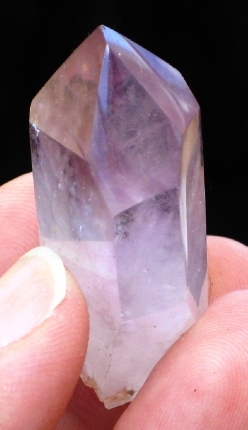 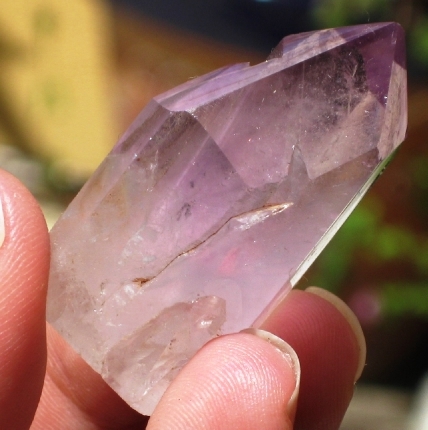 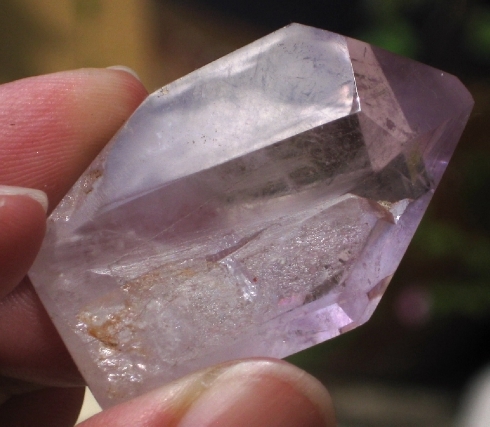 This sweet point has a wispy amethyst termination that fades into paler shades of lavender. 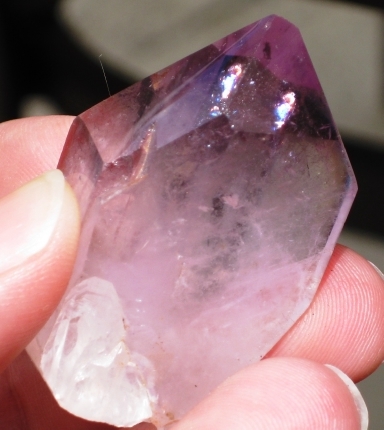 It has been mostly polished, but a few natural areas remain. 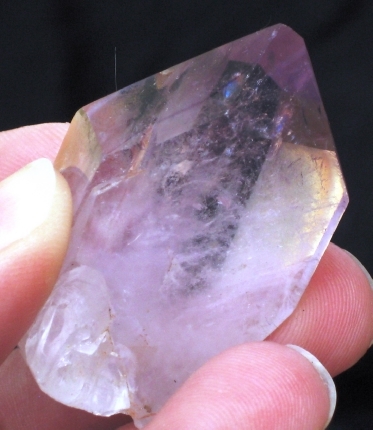 It has a groove made for your thumb, almost like a worry stone.